That time we look forward to with anticipation and dread arrived this past weekend as the playoff picture cleared somewhat as Denver, Ohio and Florida all punched their tickets to the post-season. New York, Rochester and Charlotte each have a chance at the last spot. As the playoffs take shape, the regular season is ending. There has been some incredible lacrosse played this season. The league produced some great sports action, memorable performances and nail-biting drama. One wishes for more teams to make the playoffs as many of them are hitting their stride and playing their best now, when it’s too late. Just like the movie Highlander, there can be only one. Rochester has the unenviable task of ending the season against Ohio to make the playoffs. New York and Charlotte each have a shot as they face each other. Can the Lizards rally behind Greg Gurenlian and send him out with a win on his last ride? Charlotte is a team that remade itself, found its offense, and possess Brendan Fowler. Fowler is one of the few capable of matching up with Gurenlian and proved he is an offensive threat off the break. On another level to this matchup, both Gurenlian and Fowler coach at the Face Off Academy. It begs the question, could this be a passing of the torch in MLL face-off hierarchy? Denver jumped out to a 6-3 first quarter lead, but the Outlaws went scoreless in the second as Chesapeake clawed back into the game and narrowed the lead by halftime 6-5. The score remained close at the end of the third with the Outlaws leading 8-7. Chesapeake tied the game at the end of the fourth quarter on a Josh Byrne goal, assisted by Matt Danowski. Eric Law scored the game winner for Denver in the extra period and the Outlaws secured another playoff berth. Romar Dennis and Wes Berg led Denver in scoring with three goals each. Byrne led Chesapeake with four goals and Danowski followed close behind with three goals. Chesapeake finished with a 14-26 advantage on face-offs as Ben Williams appears to have addressed the Bayhawks issues at the X. Niko Amato continued where he left off last week and made 18 saves, but Jack Kelly made 24 as he won defensive player of the week honours. Next: Denver and Chesapeake face off again to finish the season. Charlotte kept their playoff hopes alive by defeating the Boston Cannons. The Cannons finished the first quarter tied with the Hounds 3-3 as they looked to finish the season on a positive. Charlotte’s offense got rolling in the second quarter as they took a 9-6 lead at halftime. Boston stayed in the game, but Charlotte increased their lead to 13-9 at the end of the third quarter. Charlotte retained their lead in the fourth as Boston failed to cut into the lead as the Hounds stayed alive in the playoff race. Mike Chanenchuk, Ryan Brown and Kevin Crowley lead Charlotte with three goals each. Kyle Jackson led Boston with three goals and David Emala, Justin Turri and Kylor Bellistri followed with two goals apiece. The face-off battle ended in a tie with the only advantage coming from Brendan Fowler scoring a goal as he continues to be an offensive weapon. Charlie Cipriano made 12 saves and got the win even though Jack Murphy made 20 saves. Next: Charlotte faces New York with the last playoff spot on the line as Boston finishes their season with Atlanta. Boston’s week didn’t improve as Florida handed the Cannons their second loss in three days. The Launch took an early 6-4 lead in the first quarter after a six goal run. Boston clawed back at the end of the period in part due to a 2-point goal by Max Seibald. Not to be outdone, Florida increased their lead to 14-6 in the second as Connor Buczek scored on a 2-point goal of his own. Florida almost found themselves giving up another large lead as Boston went on an eight-goal run at the end of the third to make the score 16-14. Boston continued their run into the fourth and looked primed for a come-from-behind victory, but late-game heroics by Kieran McArdle and Nick Mariano gave Florida the win and secured the Launch their first-ever playoff spot. McArdle led Florida in scoring with four goals and won offensive player of the week honours as Mariano followed him with three. Seibald led Boston with a 2-point goal and a regular goal. Cal Dearth, Kevin Buchanan, Kyle Jackson and Joe Nardella each added two goals each. Face-offs ended in a draw, both teams winning 18. Austin Kaut made 15 saves as he went the distance for Florida while Tyler Fiorito and Jack Murphy combined for seven saves. Next: Florida prepares for the playoffs while Boston faces Atlanta. Ohio secured their playoff spot and defeated New York as the Machine came out clicking on all cylinders and took a 6-1 lead at the end of the first quarter. New York’s offense came to life in the second, but could not cut into Ohio’s lead with a 10-5 score at the half. Ohio padded their lead in the third to 16-8. 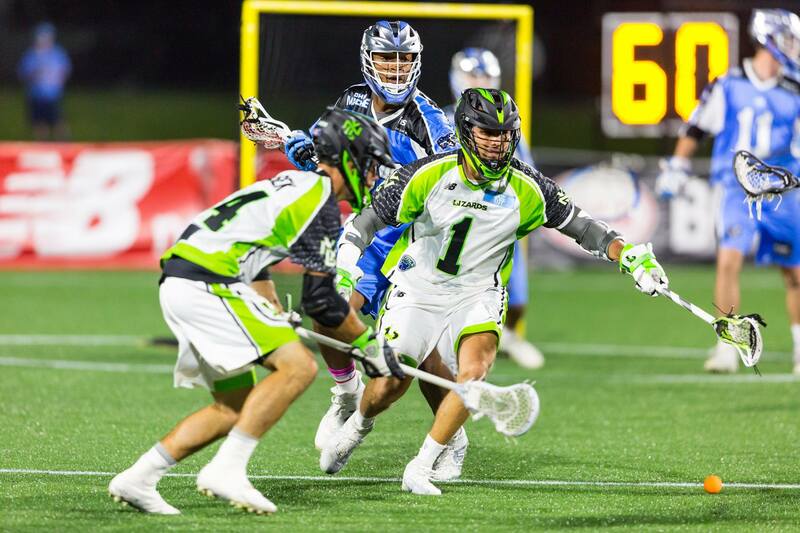 Although the Lizards outscored the Machine 6-5 in the fourth quarter, Ohio cruised to the win. Ohio finds itself playoff bound again. Connor Cannizzaro and Peter Baum led Ohio with four goals (Baum had a 2-point goal). Joe Walters and Tommy Palasek led New York three goals each. 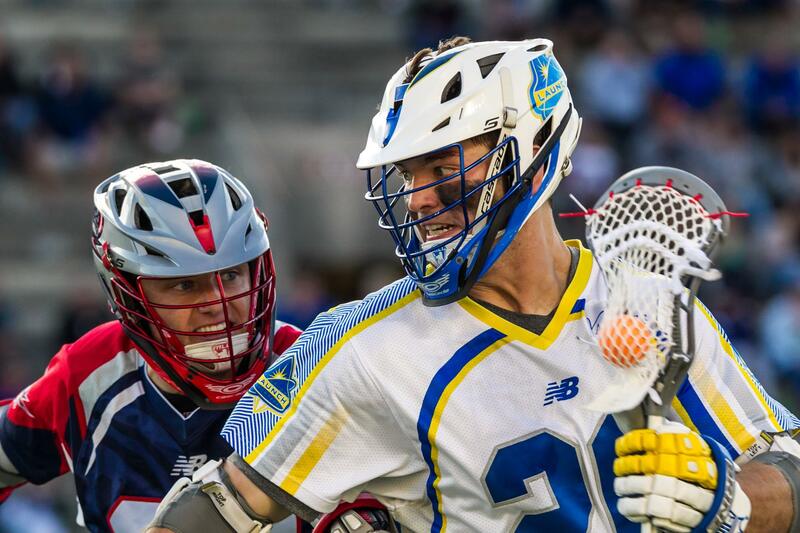 Face-offs favoured New York as Greg Gurenlian went 25-37. The Beast scored on an incredible one-handed underhand shot as he showed determination to make his last MLL season one to remember. Kyle Bernlohr made 21 saves while Drew Adams made 13. Next: Playoff bound Ohio travels to Rochester while New York battles Charlotte as these three teams still have a chance at making the playoffs. Rochester defeated Atlanta and strengthened their playoff chances while eliminating the Blaze in a tightly contested first quarter. Much like Charlotte, Rochester has quietly been working fresh faces into their roster and putting together wins to keep them in the hunt. Atlanta struggled during points of the season, but put together some wins to keep their hopes alive until the Rattlers stung them. Rochester held a slim 3-2 lead at the end of the first quarter and Atlanta hung in until the half with a score of 6-5. Atlanta’s offense struggled to score in the second half as the Rattlers pulled away 10-7 at the end of the third. Jordan MacIntosh scored Rochester’s only goal in the fourth while the Rattlers’ defense held Atlanta off the board. Ryan McNamara and Ty Thompson paced the Rattlers with two goals each while Jeff Reynolds and Mark Mathews did the same for the Blaze. Rochester uncharacteristically struggled on face-offs as Atlanta and Jake Withers went 13-21 against the Rattlers. John Galloway made 17 saves for Rochester as Adam Ghitelman made 14. Next: Rochester faces Ohio in a win and in scenario while Atlanta and Boston look to end their seasons with a win.